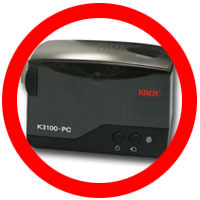 Our K3100-PC connects to your personal computer and comes with it's own easy to use software that allows you to create, edit, and save a variety of labels. 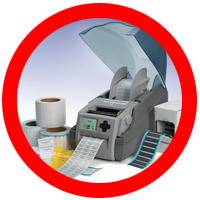 Compatible with most software so that printing labels from programs like Microsoft® Word and Excel are a snap. Our New K4100 Desktop Industrial Printer surpasses other desktop printers with it's built-in flexibility and versatility. The K4100 features a print resolution of 300 dpi, auto sizing, fast print speeds, scalable fonts, downloadable fonts and on-board memory to store files and fonts. 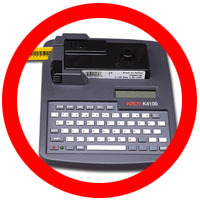 Additionally, the K4100 uses the easy to load Cartridge System allowing you to change your media in seconds. Our K4350 is a practical 4" thermal transfer printer for cost effective printing with a variety of media. The built-in cutter allows for and length supply that you need up to 40". 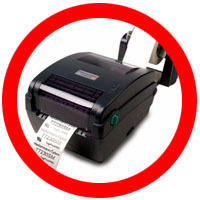 The K4350 is a great value 4" printer for any labeling application. • Media width of minimum 1/8" to maximum 4"
• Max print length of 40"
The SumiMark® IV is a feature-rich, high performance thermal transfer marking system designed to print on continuous spools of SumiMark tubing materials. It's new design provides excellent reliability and optimum ease of use. 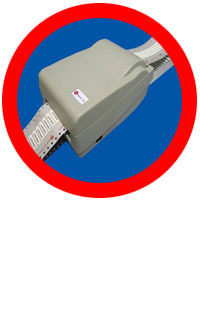 The SumiMark IV produces a dry, permanent mark which can be handled as soon as it is printed. After recovery, prined SumiMark sleeves meet the exacting MIL-spec mark permanence requirements for abrasion and solvent resistanc. 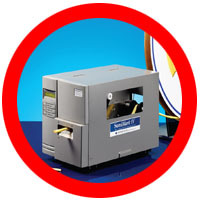 The combination of the SumiMark IV printer, SumiMark tubing and SumiMark ribbon provieds a unique, high quality marker printing system. is the next generation of printer available for small to medium volume users looking for an easy to use and functional thermal transfer printer. The TT230SM prints on a wide variety of materials including all of HellermannTyton labels and ShrinkTrak. The TT230SM is also Ethernet network ready, which gives the user options on placing the unit away from the host computer. The T230SM comes with a Label Holder (Caddy) for loading large reels behind the printer for easy dispensing and printing. 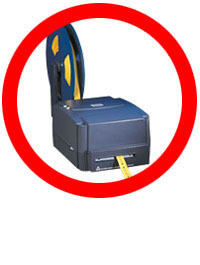 There is also an optional carrying case that can be used to safely transport the printer to remote job sites. The TTM430 thermal transfer printer is ideal for medium to large volume users looking for an easy to use and extremely functional thermal transfer printer. The TTM430 prints to a wide variety of materials including all of our labels and ShrinkTrak. An optional cutter can cut all of our materials per label, or by the batch. 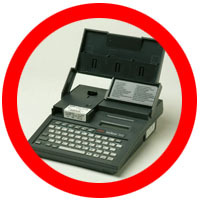 The TTM430 is also both ethernet and wireless network ready, which gives the user options on placing the unit independent of the host computer. 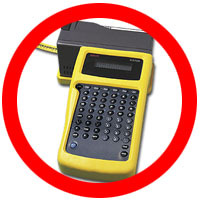 While on a network, the TTM430s status monitor (included in the driver) will alert users if the printer is out of ribbon and at the end of labels. The printer can even email the user if any of these activities occurs. 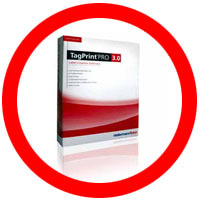 Used along with Tagprint Pro 3.0, the TTM430 will offer error free printing and seamless operations.